I'll be in lovely Belgium from Thursday thru Saturday (in Ghent) for Stichting Marketing's Annual Congress, themed this year around the concept of Leadership, both old and new. If you'd like to meet up, drop me an e-mail and let's see if we can set something up. Starting with just $10 to her name, she has built up an enviable (and influential) empire in just 32 months. 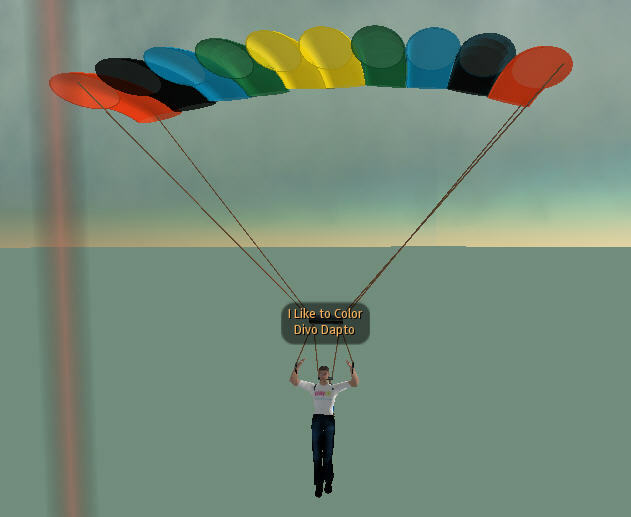 Anshe will have a press conference in-world on Tuesday and Divo Dapto will try and be there. 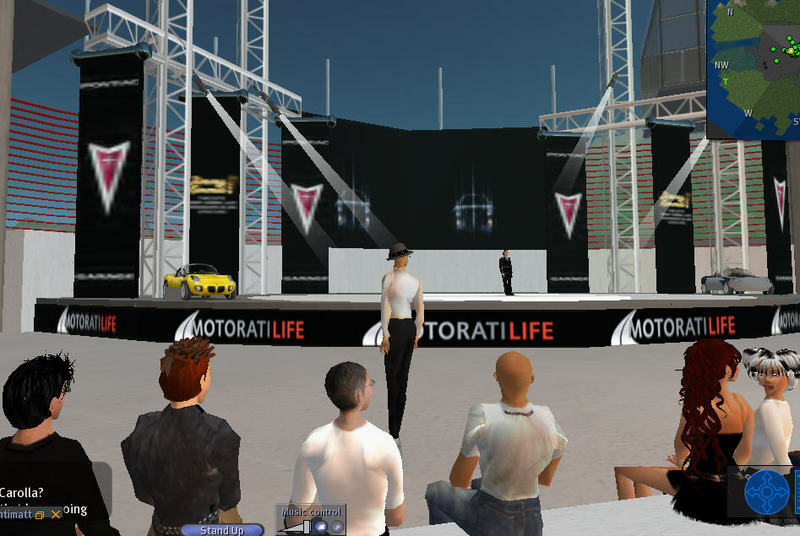 On Wednesday night, I attended the flash-mob hyped Jay-Z concert in Second Life on Pontiac's Motorati Island. The set-up was sublime. 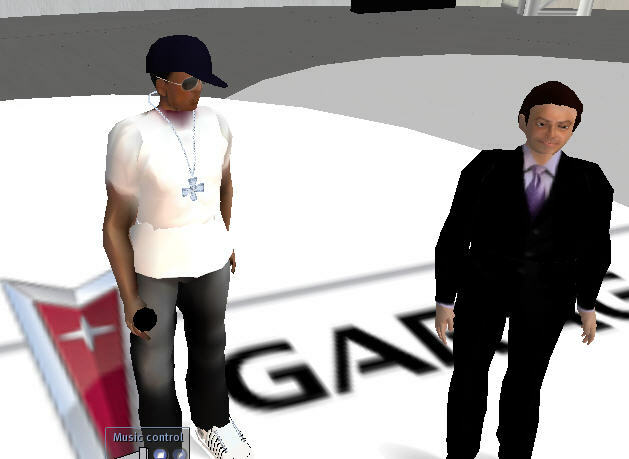 Jay-Z would be performing on the Jimmy Kimmel Show and simulcasting the performance live in Second Life. In my mind, we would be watching Jay-Z's avatar hip-hopping around the stage, listening to the music AND simultaneously, people watching the Jimmy Kimmel show would be watching the SL concert i.e. two-feeds bouncing back and forth. The reality was that Jay-Z performed in the street to thousands of fans (which meant his avatar was not even been watched, let alone controlled by him), Jimmy Kimmel barely mentioned SL and about 50 avatars (probably less when all was said and done) sat for almost 3 hours, bored out of their skulls as the feed was strictly controlled by lawyers who essentially only allowed 2 songs and about 30-second of show feed to come through to the Island. Highlights for me was my being bounced for running up to (but not going ON) the stage and doing my lame dance, as well as the informal after-party on crayonville Island afterwards. CC Chapman just got back from London where he attended PodCastCon UK. Included in his visit was an "ambush" from the Stealth Disco folks. MediaPost reports that Universal Music has sued MySpace for (amongst other things) not adequately policing users from posting Universal-owned clips. Put more legally: Universal alleges that MySpace enables copyright infringement by making available tools that allow users to upload and view videos as well as to distribute them by sending links to friends. 'er, that's called the social web, Einsteins. Look, there's no doubt that copywrited material makes up a solid chunk of the YouTube and MySpace (as the poster children for the - cringe - Web 2.0 darlings) bank of content...but suing isn't the solution. Universal might as well sue the members of the MySpace community (and don't think THAT isn't coming) for simply sharing i.e. sending links to friends. After all, it is that act alone that leads to the so-called "rampant infringement" that Universal is suing over. Secondly, it's less about the type of content and more about the community and the act of sharing itself that is the real secret sauce. Universal Music...like Hollywood...like the Broadcast networks...should be grateful and humbled that consumers are choosing to help co-promote, pay tribute to and display their content. It is this act that conceivably could lead to driving tune-in, ticket sales or paid downloads. In other words, the establishment needs to figure out ways to work with the community; not continuously against it. MySpace, YouTube and the like are after all, just hollow shells (and rich ones I might add, which explains the real intent behind the lawsuit) that house the passion and dynamism. Is it real or is it Jaffe? What a great way to start the day...perusing through MediaPost to see today's MediaDailyNews (which I began my writing career penning a weekly Thursday article) guest column - penned by the artful George Simpson - titled, "Is it real or is it Jaffe?" WESTPORT, CONN. AUTHORITIES CALLED OFF a statewide search when local resident Joseph Jaffe, reported missing by his wife, was found alive and well in Second Life. 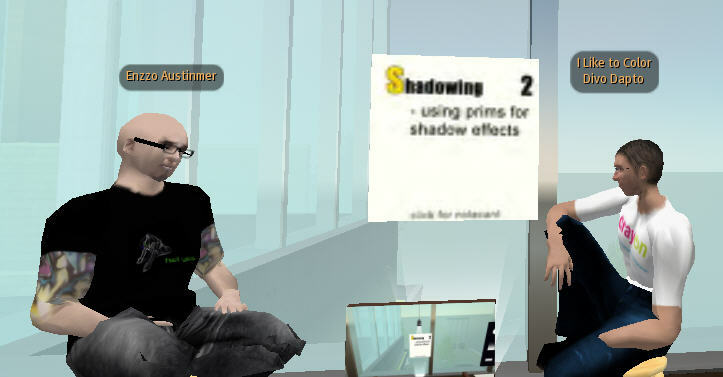 Second Life is a 3-D virtual world entirely built and owned (well, rented, really, since it costs 10 bucks a month to live there) by its residents. Since opening in 2003, it has grown explosively, and today is inhabited by 1.4 million people from around the globe. 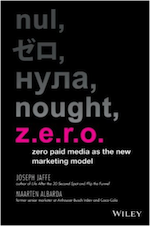 Jaffe, a new-media marketing consultant and famous author, told Over the Line he was sitting at his computer when he saw a virtual Rabbit take a watch out of its waistcoat pocket, look at the watch, and then pop down a large rabbit hole under a virtual hedge. 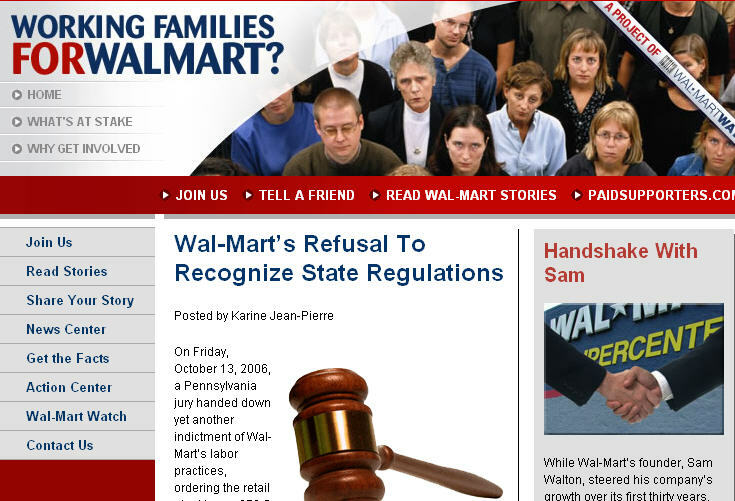 So amidst all the Edelman-Walmarting across America kerfuffle, which involved a blog alledgedly written by Jim & Laura, but instead was fronted by an organization called "Working Families for Wal-Mart", which is in fact run by the fine folks at Edelman...it turns out that the URL, www.workingfamiliesforwalmart.com had not been registered. 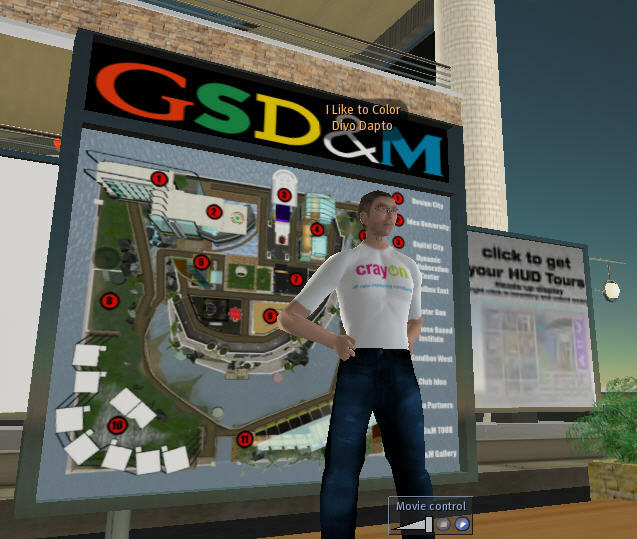 A crayon client, GSD&M, has opened up Idea City in Second Life. The Design Center - an exhibit on becoming an expert builder in SL, using the guidance/expertise of the builders of Idea City, The Electric Sheep Company. crayonville Island will be hosting Second Life's first (not my words) CaseCamp on December 14th at 9pm EST/6pm PST/2am (Dec 15) GMT. CaseCamp is an unconference for marketers. Following in the footsteps of BarCamp, and building on the model of DemoCamp, CaseCamp brings together people interested in marketing-oriented activites to learn from their peers via case study presentations. CaseCamp is structured on purpose. The goal is to create an independent forum for for great dialogue. Typically, a presenter presents a case (good, bad, ugly, lessons learned, etc.) and then a lively discussion ensues during a Q&A period. It's a bird! It's a plane! No, it's a Colonel! Colonel Sanders is at it again. And this time, by the likes of it, he's appealing to Martians who aren't as concerned about trans-fats as I guess we are. It's an interesting play, which comes along with "The making of...", a hidden message treasure hunt and aerial shots. 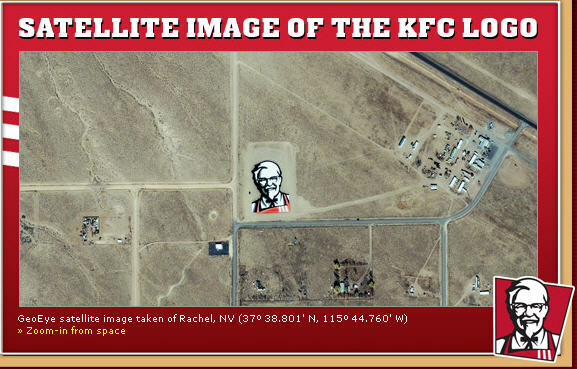 Would have been even more delicious with a Google Earth/Microsoft application/functionality.